Number One rebuilder of American engines and automatic transmissions for passenger cars, trucks, collector cars and marine applications and Number One supplier of rebuilt American engines and automatic transmissions. 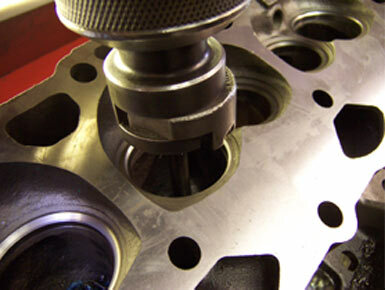 You are welcome to follow us on a tour of our complete, step-by-step rebuilding procedure of a “Yankee Motors” engine and to familiarize yourself with our high fidelity and professional engine rebuilding techniques which can only be offered by a fully equipped and knowledgeable machine shop eager to serve your needs. By taking the Tour you will clearly understand why a “Yankee Motors” engine or transmission will always be ahead of any competitors product and fully justify its investment. An investment that is fairly decent to begin with.